Wet Pouches contain wholesome and naturally hypoallergenic nutrition for loose bowels and for calming itchy and irritated skin and coat. 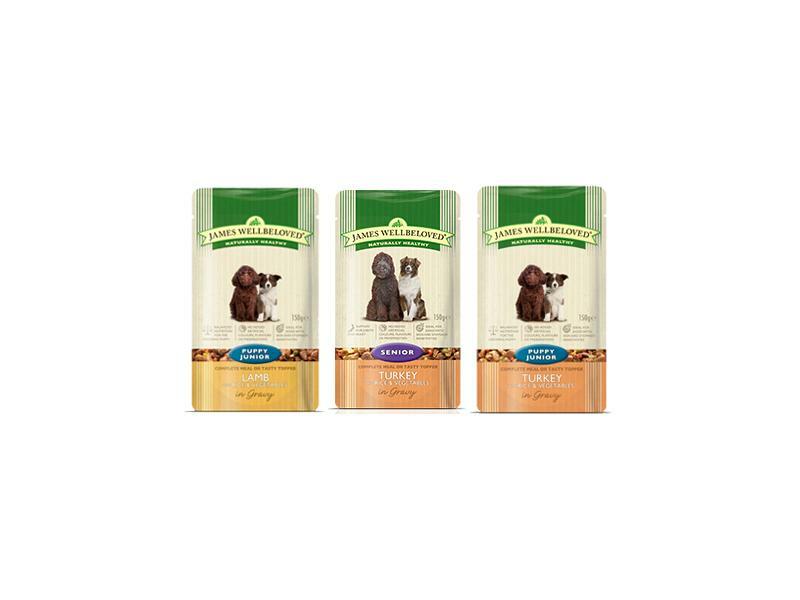 The standards of quality are maintained from the dry food alternative. Whether you decide to purchase the turkey or lamb flavour, your dog will be guaranteed the best from a rich and palatable protein source. Food intolerance is reduced by added rice and mixed vegetables. Each pouch also contains extra ingredients such as alfalfa, seaweed, and linseed which aids digestion and soothes itchy coats. Reduce amount of dry feed by 40g for every pouch used. Reduce amount of dry feed by 35g for every pouch used. 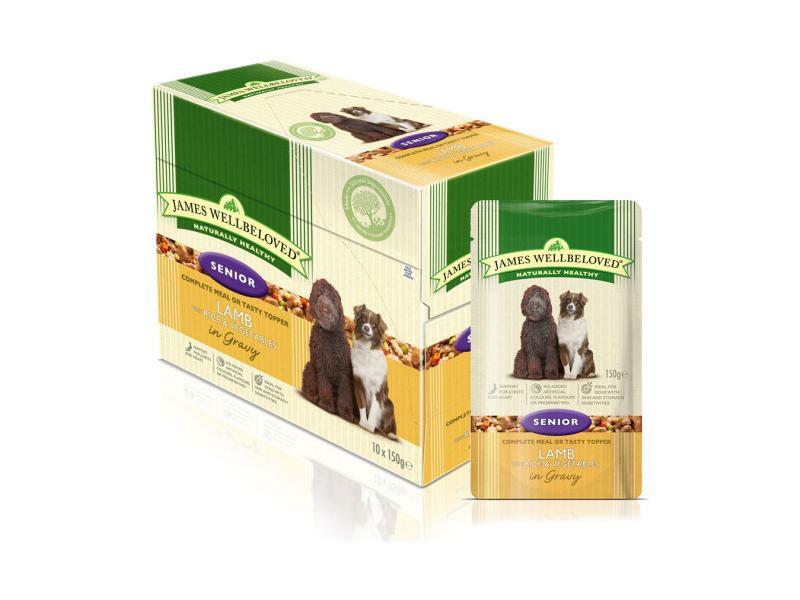 There are currently no questions for James Wellbeloved Dog Food Pouches - be the first to ask one!